I took a fall on my bike that required a trip to the hospital and a corrective surgery. One of the most common questions I am asked about living in another country is about medial care, specifically “what will you do if you are ever really hurt?” The accident and surgery that followed provided the answer to this question- the care and treatment I received was superior to that in the USA and was only a fraction of the cost. Bangkok, I loaded my bike in a taxi, went home, showered and headed to Bumrungrad Hospital (http://www.bumrungrad.com/). This is one of the top hospitals in Thailand, and even the world. I didn’t go to emergency services, but to the outpatient orthopedic clinic. The service was amazing. Bumrungrad has individual reception desks in their Sky Lobby, the registration process took about 10 minutes. The Sky Lobby has an English bookstore, Starbucks (don’t hold that against them) and WiFi. Always remember to take your passport to a hospital if you are in a foreign country, you will need it to register. I was seen 20 minutes later in the orthopedic center by a Thai doctor that was fluent in English and with multiple degrees from the USA and England. Off to x-rays, which took 15 minutes, back to the orthopedic doctor for a 10 minute review the x-rays that were now on his computer screen, everything is digital; off to payment (4 minutes) and the pharmacy (same place as payment, 2 minutes) and I was done. Arm in a sling, surgery scheduled, my hospital visit concluded in just over 70 minutes with a total cost of $84.00; the cost included the x-rays and prescriptions. My useless left arm and I gimped around for 10 days until the surgery date. The surgery involved inserting a plate on the top of my shoulder. My surgery was scheduled for 7:00pm, I needed to report the morning of the surgery for pre-screening tests and return to be the hospital at 5:00pm. My morning pre- surgery appointment was at 11:00am, I showed up on time and completed x-rays, blood work and EKG in a mere 42 minutes. A porter greeted me upon my arrival at reception and took me from department to department for each of the tests. At each test I was asked to verify my name and information on all forms, the porter had a checklist of the tests, a nurse would sign off when each was completed. I returned at 5:00 p.m. for surgery, another porter greeted me and took me to change. All possessions were sealed in bags with my recovery room number detailed on the bags. Once again, all my information was verified at every step. triple checked which shoulder was to be operated on, marking on both my shoulder and hospital gown. The surgery lasted over 2 hours, I was knocked out on morphine. I then spent two more hours in a recovery room before being taken to my private recovery room. My recovery room featured a sitting area, private bathroom with shower, flat screen television and small kitchen. I spent two days and nights in the room, receiving hourly nursing care and an IV and medications to prevent infection. I was placed on “soft” food, but still had 4 menu options to choose from at each meal. My doctor visited two times, my surgeon also made two visits. The payment and discharge process was simple, all prescription medicine was delivered to my room, there are payment centers located on each floor, I only needed to walk 2 minutes to clear up all payment; after payment I went to the nursing station for a final checkup and I was off. The total cost for 2 nights in the private room, all doctors fees, OR time, medicine and nursing came to $5,750. 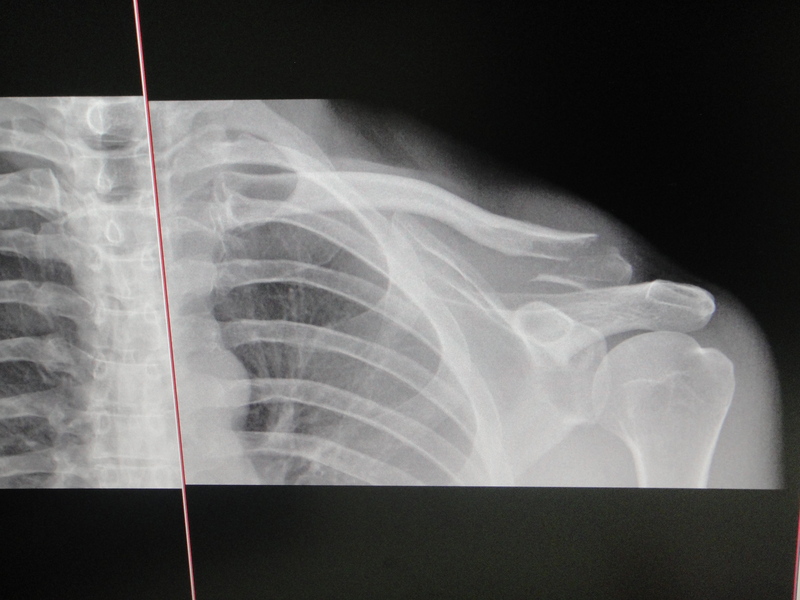 Of this cost, the plate that was placed in my shoulder was $1,600- the “real” cost was $4,150. Amazing. This cost was over 80% less that what the cost would have been in the USA; the USA cost only included a one-night stay in the hospital. This is a private hospital, one of the best. But, the cost was so much lower than a public hospital and the service was significantly better. The care in public hospitals is very good in Thailand, the majority of Thai people use the public hospitals. The government has intervened and keeps the costs of prescription drugs down; a very depressing analysis showed me the cost of prescription drugs in Thailand is over 85% less than in the USA. There are other high quality private hospitals in Bangkok and Thailand, much of their revenue stream is from medical tourism- foreigners coming to Thailand for surgery and care. Many foreigners were in Bumrungrad for extended stays, having major surgery. Statics show that Thailand is one of the leading countries in the world for medical tourism- over 700,000 foreigners visited Thailand for medical tourism in 2007. Many of the visitors come for aesthetic surgery- breast augmentation and face or eye lifts being very popular. A large number of people combine their medical procedure with a holiday- have an aesthetic procedure at the beginning of a trip and then spend a week or two recovering and sight seeing. Having a significant medical issue in a foreign country is always a concern. Having gone through this surgical experience, I can say that I feel very comfortable living in Thailand and confident the care I receive will be superior to what I would have received “at home”. I will also have a piece of Thailand with me forever. This entry was posted in Bangkok, Culture, Sightseeing, Thailand and tagged Bangkok, bumrungrad, current events, Farang, health care, health care Thailand, hospital, medical tourism, relocation, Thailand, Thailand Travel. Bookmark the permalink. Glad to hear about your good experiences with the health care system here. I agree, health care here is very cheap compared to Western care, and is generally of very high quality. But I feel compelled to warn readers about the high number of dangerous and unprofessional street clinics in the country that foreigners often fall prey to. One of my good friends went to a dental clinic that overcharged her and did a lousy job on her fillings. 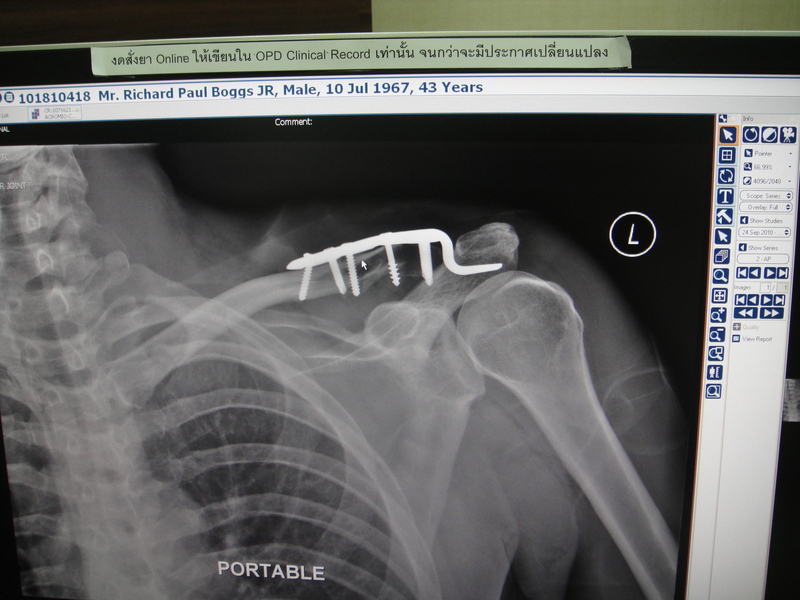 I went to one near Khao San Road that did not use enough local anesthesia, causing me great pain during the operation. People should not be afraid to get health care here, just make sure to find reputable clinics/hospitals online before you come, and do not hesitate to contact the authorities or hire the services of a Thailand lawyer if you are victimized by a bad clinic. I share your views on Thai medical care. I recently herniated a disc — first time ever! — and went to BNH. The care I’ve received/am receiving is top notch. Efficient, caring and inexpensive. My brother, a doctor in the US, says that I’m probably getting better care than I’d get at the hospital where he works! Medical care in BKK sounds incredible. If you have some kind of Thai health insurance, what part of this total cost is covered ? Thanks. Hello, I am sure the amount covered will vary by the insurance package that you have, but the ‘co-pay’ seems to be anywhere from thb100 to thb500 for common issues and or accidents. i’ve been telling friends about how awesome the bumrungrad hospital is for years; you might also point out that it looks more like a fancy hotel than a hospital! fantastic place, excellent care, doctors and staff who are fluent in English, etc. Healthcare in Thailand is a lottery. Corruption, poor training “bought” qualifications, lack of accountability and a rigidly hierarchical system make the Thai healthcare system a place of high risk and no protection. Unfortunately comments like the above are of an untutored layperson with none or limited medical knowledge. The problem is that most patients enter a hospital in a state of fear and discomfort…they leave feeling better – they no NOT know that they’ve had the best treatment – all they know is that it doesn’t hurt any more. They don’t even know if they’ve been charged correctly. At the end of the day personal stories are just that – one picture by an amateur – remember, the plural of anecdote is not data. Healthcare in Thai is a lottery – without ethics and worst of all with no monitoring checks and balances or legal comeback.